This is it: The downfall of Seagal. He was doing so well! After Under Siege (1992) was a smash hit (A bit overrated in my opinion...) Warner Bros. gave Steve whatever he wanted. Bad move. 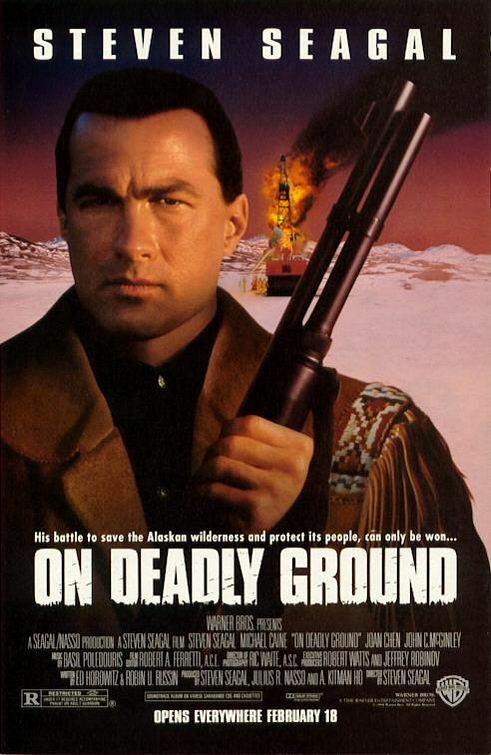 That's great Seagal cares about the environment, but his fans could care less. They just want to see broken wrists and lame one-liners. "Forrest Taft" (Of course his name is Forrest because he cares about the 'Enviro now.) is a mysterious and mystical dude who wants to save Alaska. But evil oil baron Michael Jennings (Caine) won't allow that. Now Taft has to fight to save the 49th state of America. Let's be honest, the script is awful. Here's a classic line: "What does it take to change the essence of a man?" If you think that line is great, don't forget about his "important" 10 minute speech about oil at the end. He should be more concerned about the raging oil slick on the top of his head. Okay, we all know Seagal can't act, but what about Academy Award Winner Michael Caine as the bad guy. You're thinking: "Hey, he'll save this! Right?....Right?" No my friends. No. He goes over the top and never comes back. 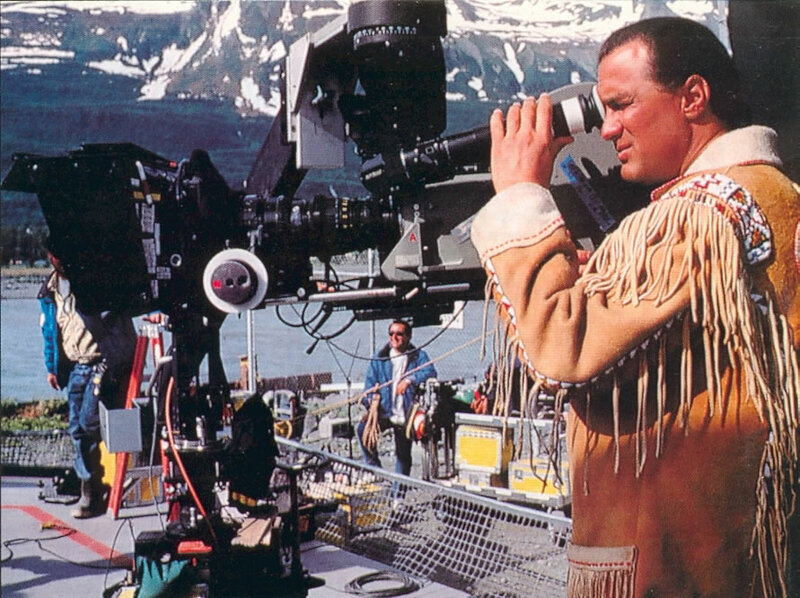 This movie did make history though: It's the first time Seagal wore a fringed jacket...it started a revolution in Seagal's wardrobe that lasted into the new millennium.